Baba Ramdev of Patanjali Ayurveda recently opened a research institute in Uttarakhand Haridwar, and our Prime Minister Narendra Modi attended the ceremony and inaugurated it on Wednesday morning. 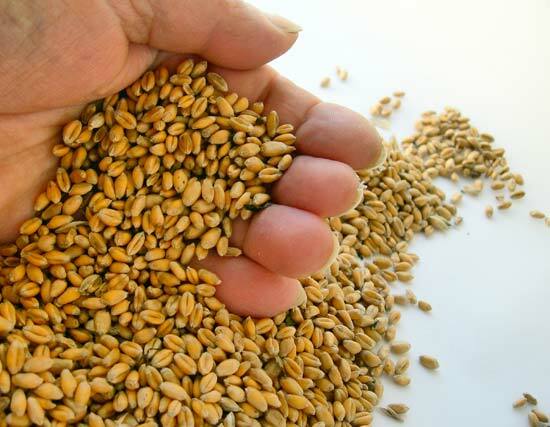 Their products have been facing failures at the laboratory tests these days, and the team came up with a new variety of wheat and chili seeds this time which double the yield, i.e., they can fetch up to 28 to 47 quintals per acre. The Patanjali group will bring these seeds to the market as Swadeshi seeds which mean home grown. On this note, spiritual leader and Patanjali Group of Industries founder Ramdev tweeted that their agro-scientist have developed an advanced variety of wheat grains which double the yield and named them as Patanjali Chamatkar. He added that they by using the seeds, the farmers can get high yielding and high quality produce without any chemicals, whatsoever. As the yield they get will be high and surprising they named it as Chamatkar(wonder). Dr. S.K.Singh, a fellow agro-scientist from Dehradun claimed that in ideal conditions, the seeds could produce up to 20 quintals in an acre and the farmers can obtain 100 quintals per acre with the chili seeds. Baba Ramdev established Patanjali Group of Industries in the year 2006 and started manufacturing the wide range of herbal and ayurvedic products including Nutrition and Supplements, Medicines, Grocery, Soaps, etc. It has achieved a wide variety of recognition in a short span of time. They even started an FMCG company too. The Patanjali stores became available in almost every city in India. However ever since its inception, rather than positive feedbacks, the products received adverse outcomes. Recently Food Safety and Standards Authority of India(FSSAI) blamed Patanjali for misbranding. Last month the Canteen Stores Department(CSD) ceased the sales of a batch of Patanjali Amla Juice it failed the tests conducted by West Bengal Public Health Laboratory in Kolkata, and the lab team stated that the product is unfit for consumption. Even after so many negative feedback Patanjali group is launching a new product once in a while.